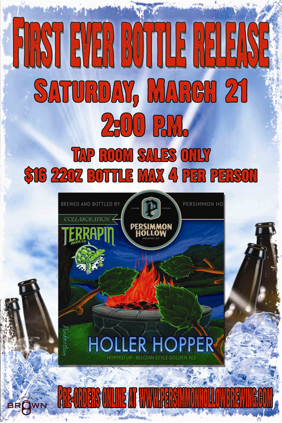 We’re proud to announce that Persimmon Hollow Brewing Co. in DeLand, will be releasing it’s first bottle, Holler Hopper at the brewery this Saturday on March 21st! This delicious hopped up version of a Belgian Golden Ale is a collaboration with Terrapin Brewing Co. out of Athens, GA.
Holler Hopper will be available for purchase in the tap room only starting at 2 PM. 22 oz. 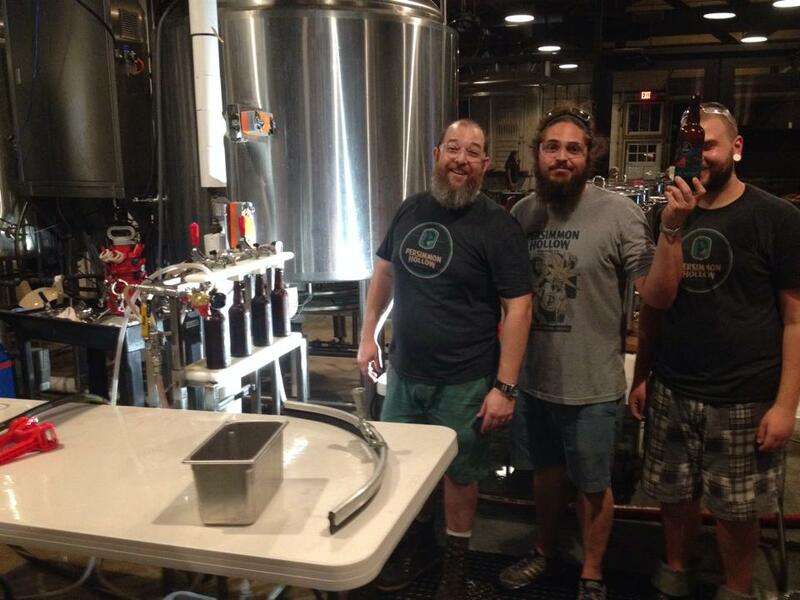 bottles are limited to 12 (1 case) per person and will be sold for $16 a piece. Sales begin at 2 PM.